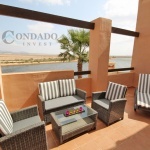 A part of the Resort Investment Solutions Group, CONDADO INVEST are the on-site specialists for Condado de Alhama. Established in 2003, Condado Invest is a fully licensed and registered company not only in the Murcian Property Association but also in the Spanish Property Association with College Number API C617 as well as a member of the Association of International Property Professionals AIPP. We focus our services in finding the right property for our clients searching for their dream home in Spain. Over these years we have found over 1,000 properties for our clients who have become our friends. Our pre-sales and most importantly AFTER SALES SERVICE are second to none and have earned us the highest reputation in the region. Our AFTER SALES DEPARTMENT is dedicating to the smooth running of the entire purchase process for you. We will handle everything for you taking all of the stress away from you, just leaving you with time to relax and enjoy your new home in the sun. NIE numbers (Tax numbers required to purchase). Change over of utilities bills and community fees payments. Currency Exchange set up saving you money on exchange rates. Key holding and cleaning services. Since the financial crisis in 2008, Spain suffered badly in the property sector with a price adjustment of up to 60% less from the prices at the time. Most of the property agents closed and disappeared during this time with only a few remaining to weather the storm and keep providing services to their existing clients. CONDADO INVEST stayed to support our clients and thus positioning itself firmly as a leading agent for BANK REPOSSESSION PROPERTIES. Since then the property market is booming once again with incredible bargains to be found and CONDADO INVEST are positioned to be able to select the best offers available to offer our clients. 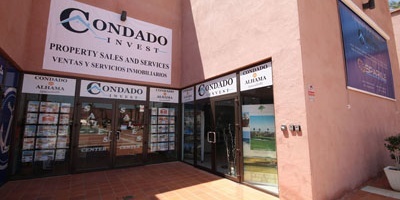 CONDADO INVEST are the on-site specialists for CONDADO DE ALHAMA and the number one sales agent for the resort. 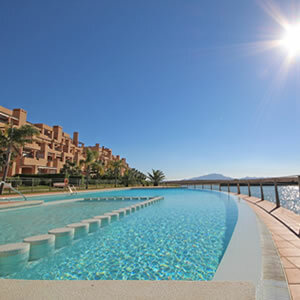 Selling the vast majority of all properties within the resort, the reputation of CONDADO INVEST is unrivalled for its HONEST AND ETHICAL APPROACH. Our offices are based within the resorts commercial center and are on hand to help with any questions regarding your property on CCONDADO DE ALHAMA. As our long-standing relations with the banks providing bank repossession properties, CONDADO INVEST can offer you the best bank repossessions within HACIENDA DEL ALAMO GOLF RESORT. This is an exiting opportunity with 9,000,000 euros being invested by the bank to enhance the resort making it a leading resort in the region of Murcia with its PGA golf course, Sheraton 5-Star hotel and SPA and many more facilities on the way. 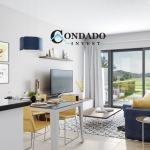 Representing new build properties in the Mar Menor region just 400 meters from the beach, CONDADO INVEST can offer the finest qualities and innovative designs backed up by our renowned AFTER SALES CARE making sure that an off plan property purchase need not be a stressful process for you. Spain’s number one Golf resort, CONDADO INVEST is proud to represent the ultimate in quality, design and luxury living in Spain. Let us find you the home you have dreamed of in the sun. An investment opportunity for the very discerning client. Founder of Condado Invest and owner of our holding group, Resort Investment Solutions, Andy’s experience in the Spanish Property Sector spans over 20 years. He has seen many changes over the years and has built an unrivalled reputation for his professional approach, honesty and attention to detail. A no-pressure and informative experience is guaranteed. Co-founder of our premium range, Premium Golf Invest and head of marketing at Condado Invest, Monica has a wealth of knowledge in the Golf Resort and tourism sector. As an expert in the field within the regions of Murcia and Costa Blanca, her professionalism and friendly approach will ensure that your experience with us leaves you feeling secure in your decision to search for your luxury property in Spain. The team at CONDADO INVEST are highly trained and highly professional. 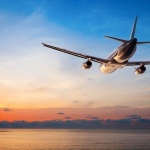 We are here to assist with your search in a non pressure environment. Honesty and professionalism are the trademark of our team. The lawyers we use speak many languages and your language is sure to be included.